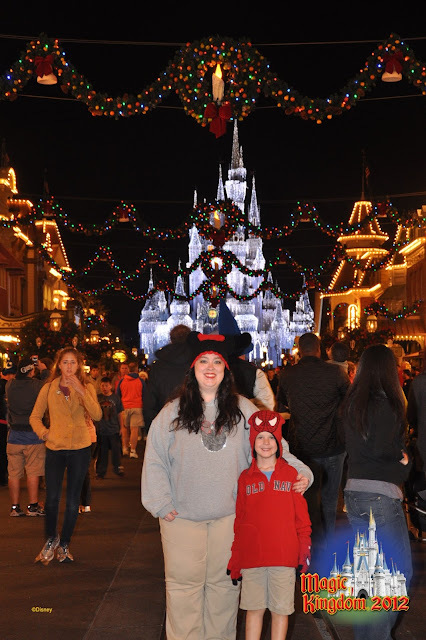 Christmas in the Magic Kingdom is one of my favorite sites at Walt Disney World. The best thing about a Thanksgiving trip is that the Christmas decorations are already out all over the parks. That means Christmas trees galore, miles of lighted garland, and a beautifully lit Cinderella Castle! *sigh* It gives me a happy smile just thinking of it now! My family are firm believers in rest time. I've said it before, but it deserves saying again: get out of the parks around 2 pm or right after the 2 o'clock parade. That's the magic hour when children and adults alike start to melt down! Even though Katelyn and Joshua were 8 and 5, respectively, and didn't take naps at home anymore, we still had "feet off the floor" time where they had to be on their beds reading or playing quietly with toys. The adults often took naps during this time too. It made for a happier evening for all. Where is everyone? What is this empty queue during peak season?! As we walked into the park, it seems like a parade was about to end or start. I wish I could recall. Nonetheless, we hit the park entrance at just the right time. We looked over at the Town Square Theater and noticed there was a 5 minute wait to meet Mickey! 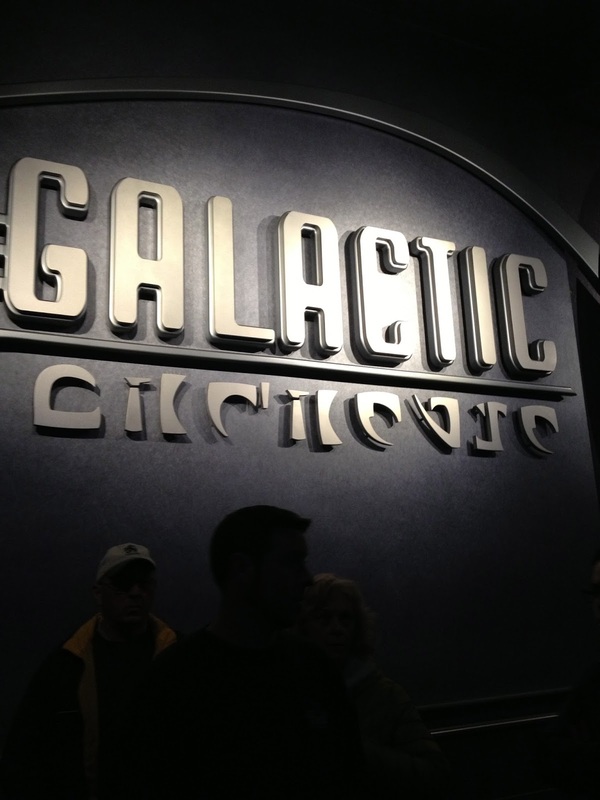 A cast member was standing outside practically begging people to enter! 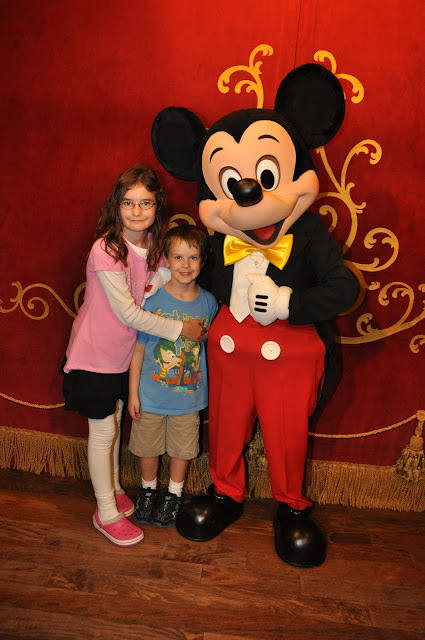 Not ones to pass up a short queue to meet the Mouse, we stepped right up to meet Magician Mickey. smile makes me tear up a bit! 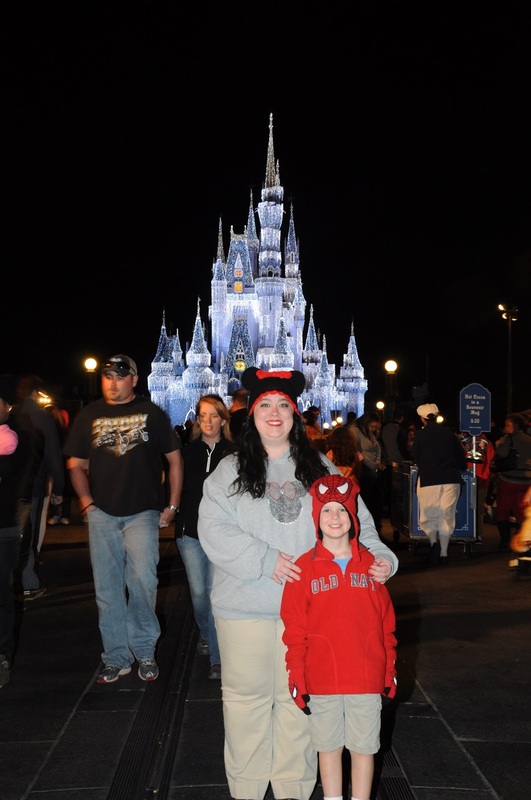 matchy-matchy when it's cold at Walt Disney World! After our quick photo shoot with Mickey, Randy, our FastPass runner, went to grab Buzz Lightyear's Space Ranger Spin FastPasses. LaRae, the kids, and I walked to Tomorrowland Terrace to grab me some honey mustard from the pump. This is a bit embarrassing to admit, but I have a slight addiction to the WDW honey mustard (from the pump not the packets), but not all restaurants have this honey mustard... soooo... yeah... I'll share what I did. We had Ziploc baggies in the condo, so I took a new one with me to Magic Kingdom, and I went to Tomorrowland Terrace to fill it (just enough for evening fries) with honey mustard for dinner elsewhere. Yes, I admit this is a weird food obsession, but my family is tired of picking quick-service meals based on who has the "good honey mustard," so this was our solution! I got weird looks, but I prefer to think they were actually looks of jealousy from all of the people who didn't think of my idea. I walked away from the pumps, head held high, fighting the urge to make eye contact with people and say, "yeah, that's right! I've got a bag of the good honey mustard! Don't you wish you were as awesome as me?!" I fought the urge... real... hard... and scurried out of there to find my family again. 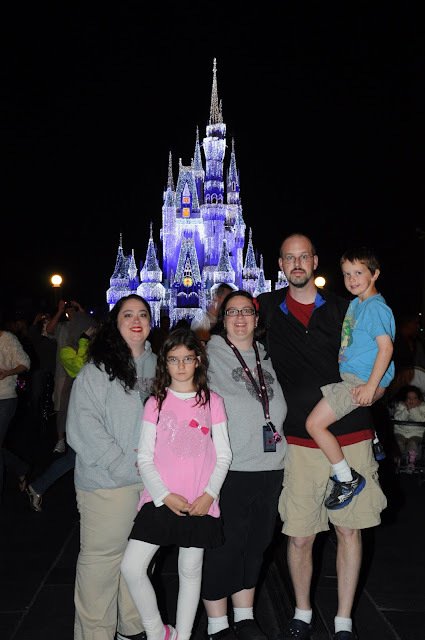 We grabbed a seat just in time to watch the Castle Lighting Show *tears* and figure out that I REALLY needed a tripod if I wanted to take night shots. 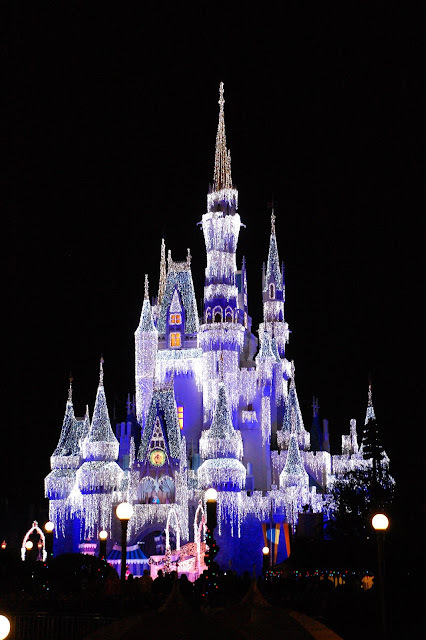 the Castle lights up fully for the first time each night! Randy arrived back just in time to see the end of the show with us, and we moved on to Columbia Harbor House to eat dinner. Best part about dinner? Just as I was pulling my prized bag 'o good honey mustard (from the pump, mind you) out of my bag, we discovered that Columbia Harbor House now has the good honey mustard in the pump. I'm actually hanging my head in shame over this still. Hehe. I quietly tossed my now squishy bag of honey mustard in the trash and got a few cups of it. I mean, the people over at Tomorrowland Terrace already witnessed my insanity. I figured I should spare the good people of Columbia Harbor House the horror that is honey mustard in a bag. 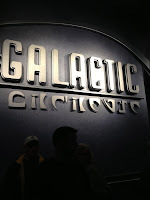 Victuals enjoyed by all, thanks to the good honey mustard (from the PUMP), we all went for a spin with Buzz Lightyear. I rode alone and had a dorky face in my pic (I get this wide-eyed, intense, almost cross-eyed look when I play that game), so I didn't snag a photo of it. I did, however, lose to my entire family, so we'll revisit that ride some time in the future of this series. ;-) We had really missed out on Tomorrowland in our earlier visit to Magic Kingdom, so we took time to go sing along on the Carousal of Progress. 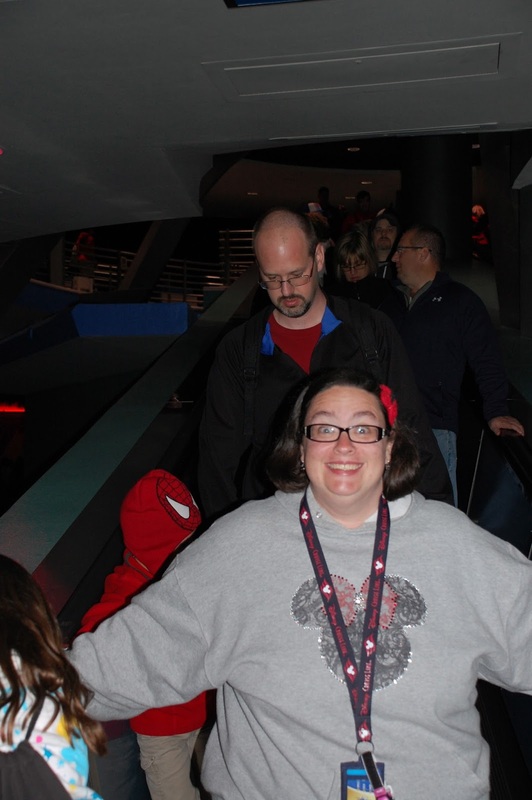 We also relaxed on the Tomorrowland Transit Authority Peoplemover. LaRae didn't realize she was in this TTA shot. that I've lost 30+ pounds since this pic! Spider-Man in the world. Seriously, look at that grin! I melt. they are blog-fodder, and they grin and go with it. Love them! On the way out of the park, I finally summed up the courage to see Stitch's Great Escape. I'd never seen it, and no one in my family wanted to join me at first. Josh, my trusty brave nephew, told me he wanted to go with me, so the rest of the family strolled to the front of the park while we boldly ventured into space. This may be an unpopular opinion, but we both kind of liked it. I was really worried that Josh would be scared, but he handled it like a trooper! The pre-show made us all laugh, and the chili dog burp really wasn't that bad. (Ok ok ok, I surmised when it was coming, so I held my breath!) Josh and I came out all smiles. 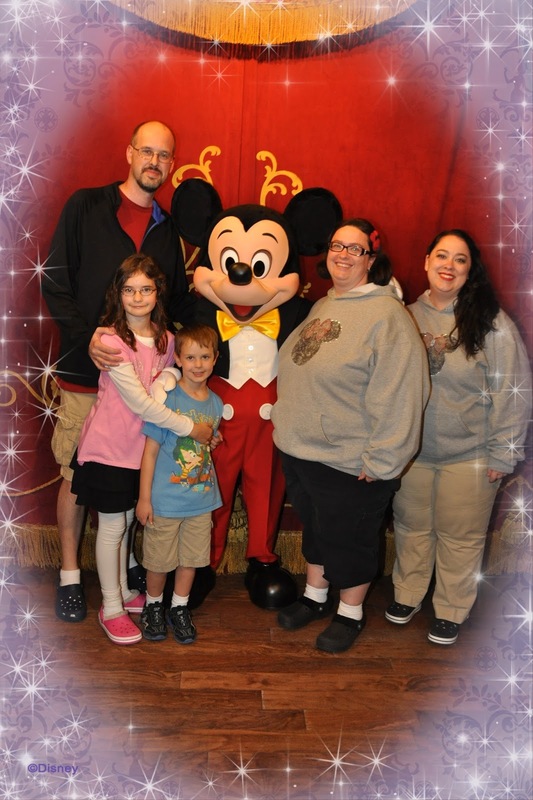 Whenever I take one of the kids off on my own, I always try to get some pics with a PhotoPass Photographer. I found a couple on Main Street and was able to get these photos on the way out of the park. 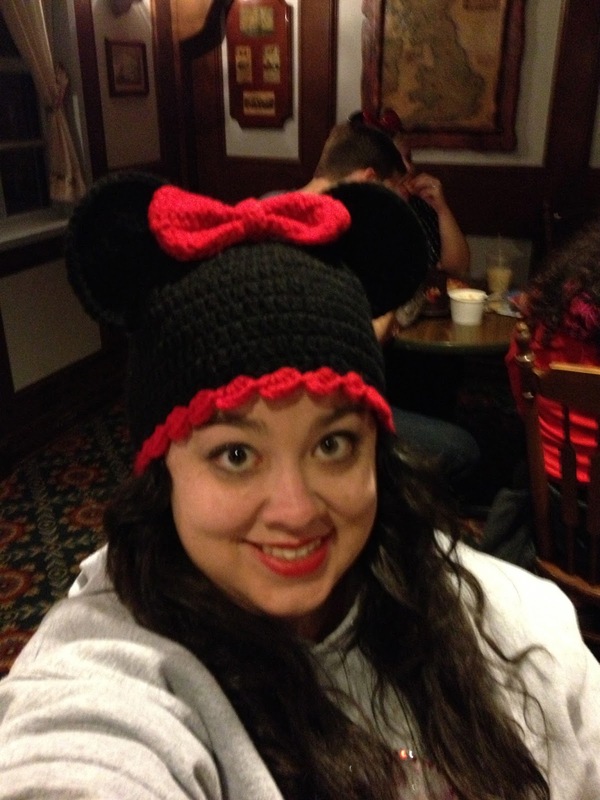 My hat was made by a woman from church who sells crocheted hats. This is my favorite hat to wear in the parks and around town! hopper. ;-) It paid off here! I think this is one of my favorite photos of the trip! While we didn't do a ton of attractions this evening, we had a lot of fun playing together as a family and taking in the Christmas lights. Sometimes a calm evening was just what we needed! 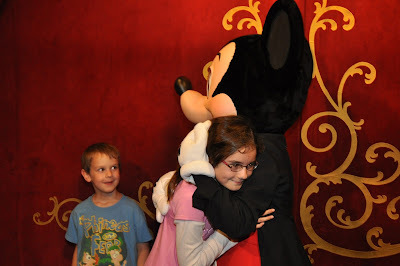 Wednesday and Friday's posts will take us into our last day at Walt Disney World. Each day's post will visit a different park before we go to Mickey's Very Merry Christmas Party in next week's posts! Join us again on Wednesday.